The United States is obligated to provide aid and protection for Syrian refugees. Along with this duty comes the government’s responsibility to protect its citizens from those who might use this crisis to cause harm. The current Obama administration policy that will allow an additional 10,000 Syrian refugees into the U.S. is contentious at best. On the one hand, our leaders must balance international treaty obligations, and on the other, the security of the nation. 1) The right against being forcibly returned to their home country. 2) The right to housing. 4) Access to public assistance. 6) The right to identification and travel documents. 7) Immunity from prosecution for illegally entering a country. Much of the recent conversation on this issue has centered on vetting Syrian refugees who are entering the United States. According to the White House, the vetting and entry process for all refugees includes nine stages and the process is linear in the sense that failure at any point ends a candidate’s application for entry. The process includes collecting personal and biometric data (such as fingerprints) as well as a series of security checks by the FBI, the National Counterterrorism Center, the Department of State, the Department of Defense and the Department of Homeland Security. An applicant must also pass through a robust series of interviews conducted by the United States Citizenship and Immigration Services (USCIS), a medical screening and completion of a cultural orientation course. Once a candidate is evaluated, an assessment is made by a U.S.-based, non-governmental organization to determine the best location for the candidate to resettle. In order to ensure terrorists and criminals do not gain entry, pending applications are checked against terrorism and criminal databases. All of this being said, the assessment process can take several years to complete. Once the refugee arrives, they are required to apply for a green card within one year, which triggers another set of security procedures. No vetting process—no matter how careful or thorough—can stop all terrorists or criminals from entering. 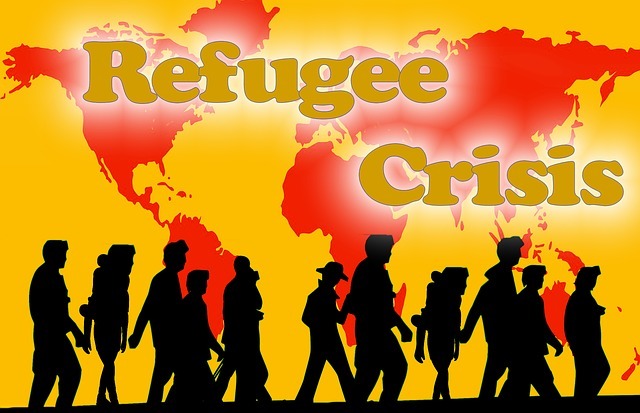 False, inaccurate or incomplete information can create an erroneous refugee profile. Moreover, deliberate spies by ISIS or other enemies can be trained to manipulate and overcome the vetting process and radicalization after a refugee gains entry poses a unique threat that would not be detected during the assessment process. Given the reality that the U.S. vetting process cannot deny all criminals or terrorists who are infiltrating the refugee masses, I would argue that more attention should be given to the refugees once they arrive on U.S. soil. When a refugee arrives, the federal government transitions some of the responsibilities over to state governments and contracted resettlement agencies (nonprofit organizations). Once a refugee is accepted, there are no means where the government continues to evaluate them. Refugees are on the path to integration into society and a level of trust is granted. Many are arguing for a more thorough vetting process, for a continued vetting process or for a pause in accepting refugees in order to determine how to guarantee the safety of the American people. To this end, some have even called for a simple ban on all refugees. The danger for continued surveillance and assessment of admitted refugees lies in its undefined time frame. For how long will the vetting process continue? At what point will continued surveillance and vetting infringe upon the civil liberties of both American citizens and refugees? We live in an imperfect and dangerous world where safety cannot be guaranteed. However, this does not mean proper safeguards should not be instituted to help ensure some protection against terrorism. However, I feel the government has done its due diligence. 1) Educate yourself on the crisis. 2) Evaluate what is being done in your community to assist the refugees. 3) Reach out and welcome your new refugee neighbors. Refugees do pose a measure of risk. But this is a risk we promised to take when we signed the U.N. treaty in 1951. Author: Blake Evermon is a doctoral candidate in public administration at the University of Illinois, Springfield, and his research interests include refugee assimilation, the Arab-Israeli conflict, Islamic radicalization, emergency management and terrorism. His professional experience includes analysis for the U.S. government and information/cyber security for educational institutions. He can be reached at [email protected]. Operation Pacific Haven…check it out.